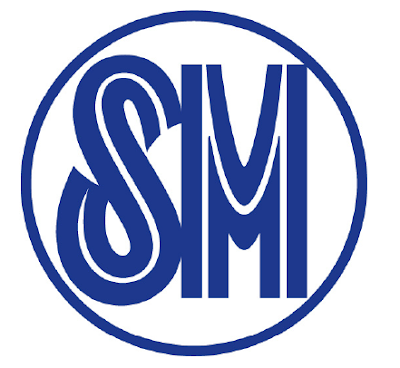 Regal Films has always been known to produce successful horror films. From the countless mini-stories of Shake, Rattle and Roll, to the full length Haunted Mansion; Regal does not disappoint to tickle the viewers imagination of what lies beneath closed doors. Now comes a new full length movie with a different set-up and with an all-girl group to complete the cast. 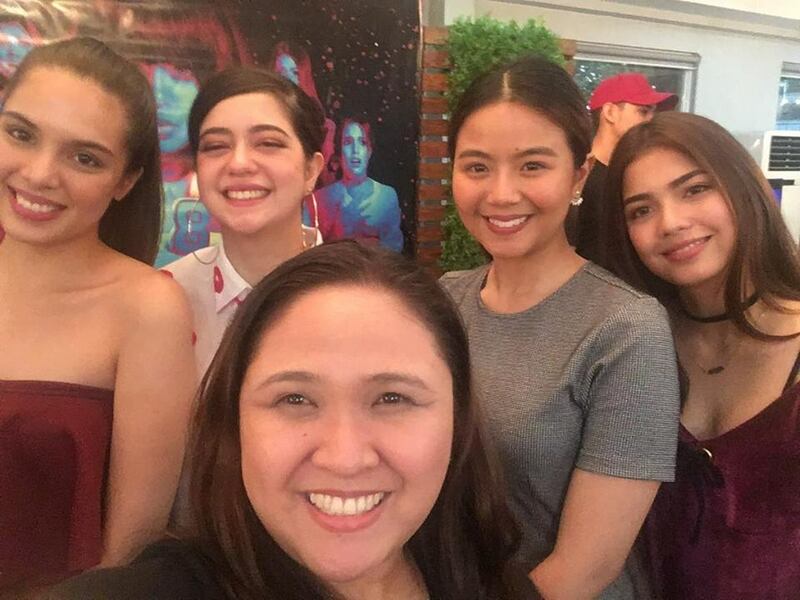 Chanel Morales, Jane De Leon, Michelle Vito, Miles Ocampo and and Sue Ramirez will be the main focus of the movie The Debutantes. "This is so touching. I remember my daughter gave us an envelope before as a Christmas gift and inside the envelope was the ultra sound picture of the baby and written "Merry Christmas Lolo and Lola," shared by netizen Alfred Tatoy. "It was the happiest day of my life when i learn that i will be a lola already. It's almost the same story. SM Moments For Granparents Day! Three years after its local launch, the Nissan X-TRAIL continues to offer an unparalleled experience for adventure-seeking families thanks to new enhancements and Nissan Intelligent Mobility technologies. 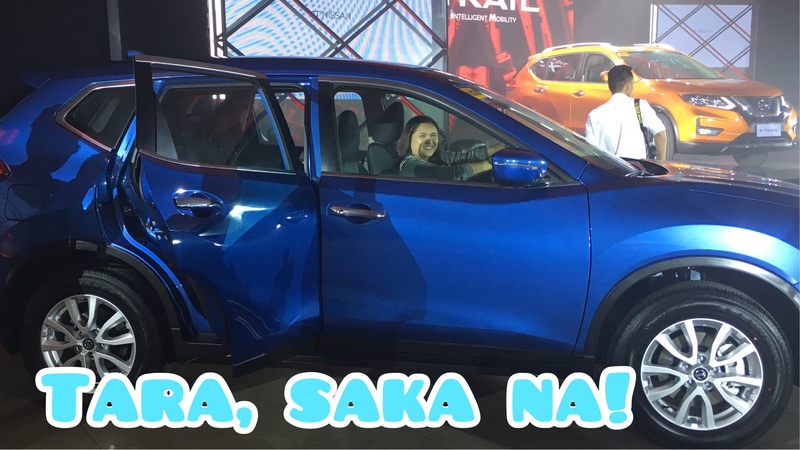 Last Sept. 12, the new Nissan X-Trail was finally launched here in the Philippines. The new X-TRAIL is the first Nissan vehicle in the Philippines to be integrated with the largest range of available advanced Intelligent Mobility technologies. The Nissan X-Trail is available in both 4x4 and 4x2 variants, and will be priced at Php 1,728,000 and Php 1,399,000 respectively. Available in Premium Corona Orange, Marine Blue, Pearl White, Gun Metallic, and Deiamond Black. I am excited to share with you that Thiocell had a "thank you" party. It was attended by clients, customers and online friends (bloggers) who also use the product. There was no formal program, but a team was in charge of doing interviews and taking testimonies about our experiences in using Thiocell. It was really just a night of getting to know everyone while we shared a sumptuous dinner and have a few drinks for some. I am thankful that I am part of the Thiocell Family. The Food and Drug Administration (FDA) warned the public against the excessive use of intravenous skin whitener glutathione, saying it could potentially cause kidney and liver problems. A report aired by GMA News' Balita Pilipinas said glutathione IV is commonly used to treat diseases and not as skin whiteners. The FDA made the warning as the injection of glutathione IV is being offered as a service in beauty spas, the report said. The report further said that the oral intake of glutathione capsules should be limited to 500 milligrams in a day. As the saying goes anything excessive can be harmful to our body. We should all be careful in choosing what we take. Also remember that what works for another persons body will not necessarily work for you, it is still best to see a Doctor. 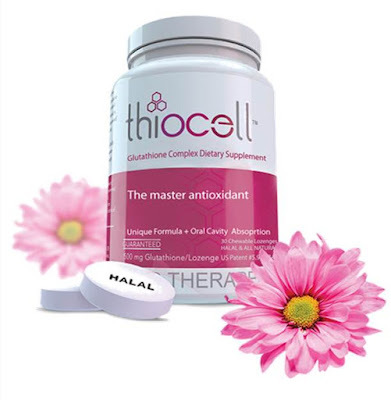 So far Thiocell is the best option in taking in glutathione because of its lozenge form. It is immediately absorbed through the mouth that's why it is effective. For those of you who is new to Thiocell and would want to try it, you can order from Lazada or over the counter via Mercury Drug Store and soon in Watsons. Cheers! All smiles and happy faces filled the District 8 venue for the Victory Party of Woke Up Like This. Present on this day was Regal Entertainment's matriarch Mother Lily Monteverde and the ever hands-on producer Ms Roselle Monteverde; of course the cast headed by Vhong Navarro. Who else was on the party? Watch the video as I give you an exlcusive glimpse of the party. Are you ready for a new and fresh show? 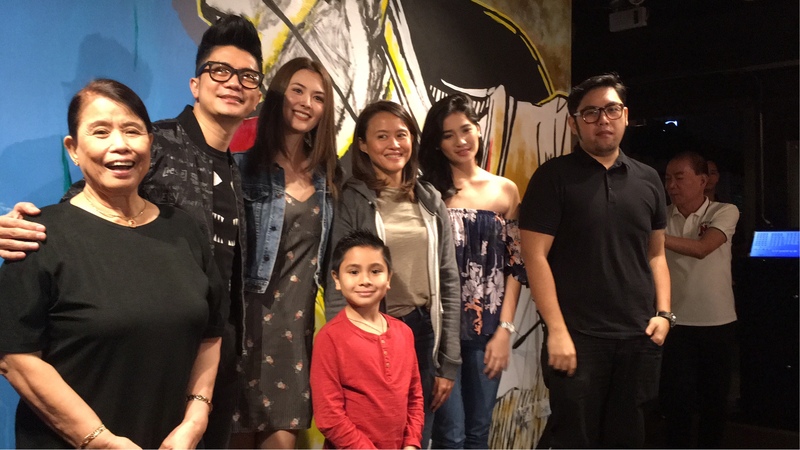 GRIND is the newest weekend habit on GMA Network. If you are thinking that this might just be another teen-oriented show, well it is not. GRIND is show where Millenials could actually relate, composed of young professionals who goes through life problems same as yours. Also not a teleserye, just episodes of how they deal with common situations that is can be familiar to us and we could relate to. 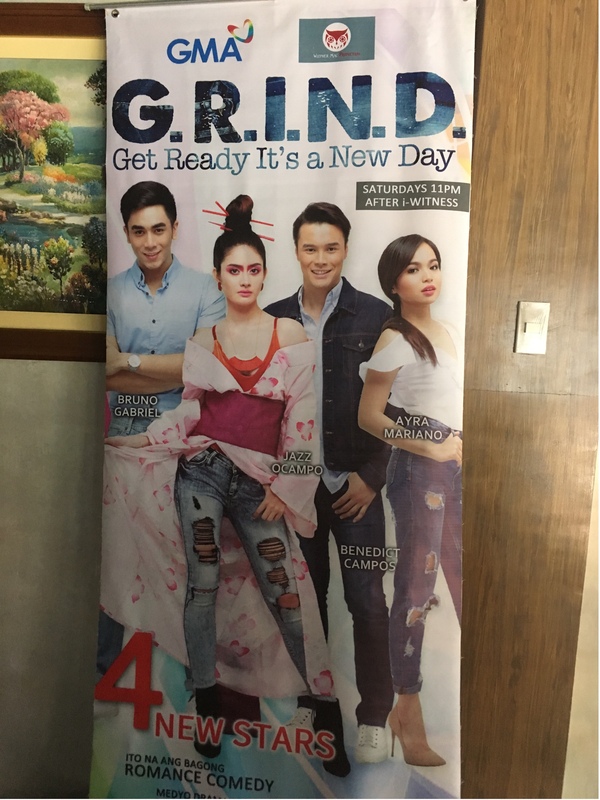 GRIND is composed of GMA Artist Center talents; Benedict Campos, Jazz Ocampo, Bruno Gabriel and Ayra Mariano. Catch them every Saturday night after i-Witness; make them your weekend habit.